Seedlip is the world's first, distilled, non-alcoholic spirit. 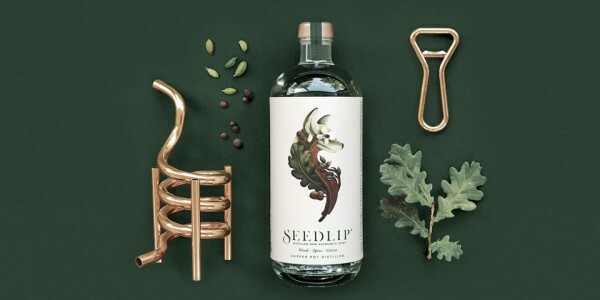 'Distilled' in the same way as gin, but minus the alcohol, Seedlip is made with two barks, two spices and two citrus peels - much like gin is made with a series of botanicals. Based on herbal remedies from the Art of Distillation, a Treatise first published by the physician John French in 1651(! ), Seedlip draws on hundreds of years of experimentation to create a wholly original product that mimics alcohol... but isn't. Whether you're pregnant, designated driver or just fancy a night off the sauce - theoretically you could replace gin with Seedlip and no one would ever need know. As with sipping spirits straight, it's a personal preference, but we'd argue Seedlip is best enjoyed as a long drink with Fever-Tree tonic and a red grapefruit twist, or as a mock martini with dashes of olive brine and verjuice for a rather fancy non-alcoholic alternative. "Imagine you’re having a night off the sauce. Then imagine that instead of having to order a glass of boring lime and soda or elderflower cordial and explain your choice to everyone, you simply said, “I’ll have a Seedlip Martini please” — and what you got was a martini that looked and almost tasted like a martini, and no one even noticed [that it wasn't alcoholic]. It could be brilliant." Founder Ben Branson realised there was a gap in the market for 'grown-up' alcohol alternatives. “You've got Jamie Oliver fighting against the government, talking about sugar. You’ve got one of the best bartenders in the world, Alex Kratena, saying that non-alcoholic's the new vegetarian. There's this huge force at work that we're tapping into that means we're not pushing water uphill” Ben explains. Seedlip is a sipping drink. It’s not something to gulp down. There’s an adult aspect to this. But the best part? Seedlip is really easy to experiment with at home. So have fun with it. Add twists of citrus, try it with different tonics or mix up gin-based cocktails, replacing the spirit with Seedlip.